Written April 8, 2011 at 8:51 a.m. I used to keep my network open until Firesheep came along. I like the idea of running a WPA-enabled network with an SSID like “passwordiscookies” that would let people use the network without being able to sniff traffic. Bears considering. 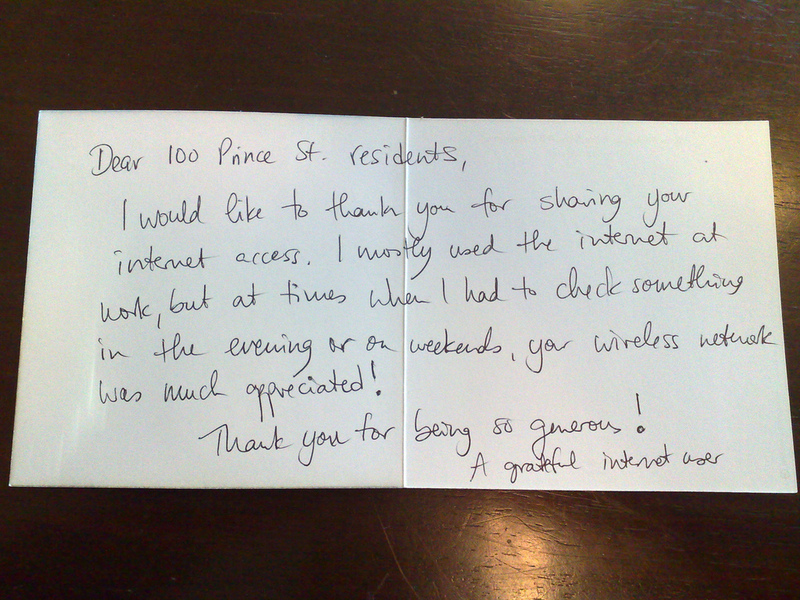 Finding an open network when I just move to a place has been a godsend a couple of times. I love free wifi. When we were in Europe last year we found it in many unusual places (and sometimes *not* in places where we paid for it), and stayed in touch like never before. Thanks to all who do the free!